Ms. Marderosian began her practice as an Assistant State’s Attorney for Cook County, focusing primarily in appellate argument and juvenile criminal prosecution, as well as representing state interests in abuse and neglect cases. She then served as the Director of Investigations for Chicago Public Schools, responsible for ensuring the integrity of investigations of potential abuses by employees of the Chicago public school system. After leaving the public service sector, Ms. Marderosian worked with a large Chicago firm where she expanded her practice to include medical malpractice and general personal injury defense. She then moved to California and worked for a Los Angeles firm, where she represented individuals and businesses in federal investigations and related civil litigation, including winning a ‘not guilty’ arbitration verdict from a retired federal judge in a $30,000,000 fraud case. 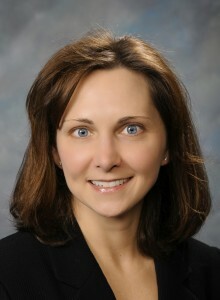 Upon returning to Illinois, Ms. Marderosian continued to work with attorneys in Los Angeles and additionally, joined Mr. James J. Moylan in his multi-state securities litigation practice based in Colorado, where she continues to represent investors and broker-dealers in various securities litigation and investigations matters. Ms. Marderosian has now partnered with her husband at Marderosian Law LLC. This firm’s practice draws on the combined 40 years of legal experience, including Mr. Marderosian’s as a highly experienced business, jury trial, and appellate lawyer. While Ms. Marderosian’s extensive criminal, civil, and real estate experience benefits her clients directly in these areas, it also enables her to help clients in broader ways. She applies her knowledge of actual trial court, appellate court, and arbitration outcomes to anticipate issues and help her clients avoid exposure. Her combined expertise enables her to determine the most practical and cost-effective resolutions based on what is most important to her clients. She stands with her clients as a close partner to address legal issues and solve problems.